On Saturday 6 October, VMI offered around 100 visitors a glimpse behind the scenes as part of the Science Weekend. A demonstration of a tire building machine was definitely the highlight of the company tour. 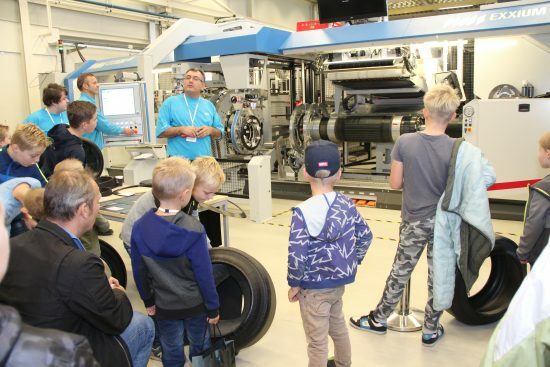 The younger guests in particular were very fascinated while watching how car tires are produced. They also had the opportunity to create their own work pieces and tried the challenging robot basket. VMI is eager to give young people a chance to discover the broad range of prospects that the technical professions have to offer. The Science Weekend proved to be a fantastic opportunity for VMI to get young people interested in technology. Over the course of this weekend, companies, institutes, universities, agencies and museums at over 350 locations throughout the Netherlands opened their doors to the public.